Shin Lim is a Canadian born American magician famous for his unbelievable card tricks. He is best known for his card manipulation and sleight of hands. Recently, Lim rose to more prominence after winning 2018 America's Got Talent, Season 13. He could easily elaborate close-up card magic routines. During his most of his acts, Lim stays silent with the tricks set to music. His other award-winning acts were, "The Dream Act" and "52 Shades of Red". Lim learned magic/tricks on his own. He learned and polished his tricks from watching YouTube. What is Shin Lim famous for? His card manipulation and sleight of hands. Who is Shim Lim Magic? Shin Lim just won the 13th season of the grand talent show, America's Got Talent Show. It was a tough finale against dance troupe Zurcaroh and violinist Brian King Joseph. He also bagged $1 million alongside. But, Lim won't be getting $1 million whole at once. According to the disclaimer at NBC talent show, Lim will have to choose either to be paid $25k annually over forty years, or he can get whole prize money at once, a lot less than the full amount of $1 million. It doesn't look like Li would worry about the prize money, rather he will be focusing more on many shows he has been offered after AGT win. Following his win, Lim will be a headline act at the Paris Theater at Paris Las Vegas. Shin is also scheduled to perform at the Marquis Theatre from 23 November to 30 December. What Nationality is Shin Lim? Lim was born in Vancouver, Canada to a Singapore born parents. The exact date of birth of Lim is unknown. He is reported to be born either in 1991 or 1992. He is the second among three children. He belongs to the Han Chinese ethnicity. His dad was completing his post-graduate in Canada when Lim was born. When Lim was 2 years old, his family returned to Singapore. At the age of 11, Lim and his parents moved to Acton, Massachusetts, United States. Lim was interested in music at his young age. Thus, his grandmother had originally gifted Lim a violin. Lim could not get used to the violin and smashed the violin after practice session due to frustration. Lim then switched his interest to learning piano. Lim attended the Acton-Boxborough Regional High School. Lim attended the School of Music at Lee University in Tennessee to pursue his education in music. What Does Shin Lim do? During his younger years, Lim was not only interested in music, but he also showed interest in magic. It all began when his older brother, Yi, showed Lim a simple card trick. Lim asked his brother how it was done out of curiosity. His brother told him to look up it on YouTube. Lim became fascinated by several tricks found on YouTube and taught himself several tricks. His improvements led Lim to develop his own tricks. Lim started posting his self-developed tricks and techniques on YouTube. Lim was diagnosed with carpal tunnel syndrome at the age of 20, in 2011. Lim was growing better on in magic tricks, but also had to practice piano in his school, School of Music at Lee University gave him a choice either to choose music or his magic career. Lim chose to follow his passion, that is magic. Lim dropped out of school and returned to his parents. Lim then started developing many more tricks and posting them on YouTube. He also sold his tricks techniques to the interested fans. Lim describes magic as more of an art show, rather than an attempt to trick or fool people. He quoted, "I'm trying to change the outlook on card magic - to make it more artistic, more visual." Lim always tries to blend his musical aspirations into his acts, tricks. For which, Lim mostly stays silent during the tricks. Lim compares his acts to the movie Inception. He further explains tricks is artistic, yet accessible to the masses. Lim finished sixth in the 2012 Federation Internationale des Societes Magiques(International Federation of Magic Societies) World Championships. Lim was dealing with his uncertainty in magic career, an agent who had seen his performance at the World Championship, offered him China tour. Lim performed very well during his tour and earned lots of appreciation from the mass. Lim won Federation Internationale des Societes Magiques World Championship for Close-up Card Magic in 2015. The win earned Lim a tour as a part of Illusionists, a touring Broadway-style magic show that features a rotating cast of magicians and illusionists. Lim's special YouTube video "Pray for Paris" performance of his "52 Shades of Red" in tribute to the victims of the November 2015 Paris attacks also drew Lim more attention to his amazing skill to the viewers/magic lovers. In his "52 Shades of Red", he could easily change the faces or all the backs of a standard deck of cards to different ones with just a swipe of his hand. Shin Lim rose to more prominence globally when he won the 13th season of America's Got Talent recently on September 19, 2018. Along with the title, Lim also won $1 million prize money. He mostly performed his card tricks, with a blend of music, his pianist background. All of his acts from audition to the final easily amazed the four of the judges at AGT and the viewers all over. Following his win, Lim will be a headline act at the Paris Theater at Paris Las Vegas. Who is Casey Thomas Fiance? Lim currently lives near Boston, Massachusetts. At present, he is engaged to Casey Thomas. She is an Australian dancer. Lim proposed to Casey in front of over 2000 people during a magic show at the House of Magic in Macau on August 19, 2017. Lim mostly blends his tricks with the music, reflecting his pianist background. He mostly stays silent during his act. He has changed his style a little in recent acts on America's Got Talent, 13th season. He blended his tricks with music, art, and dialogue to make his performance of more brilliance. 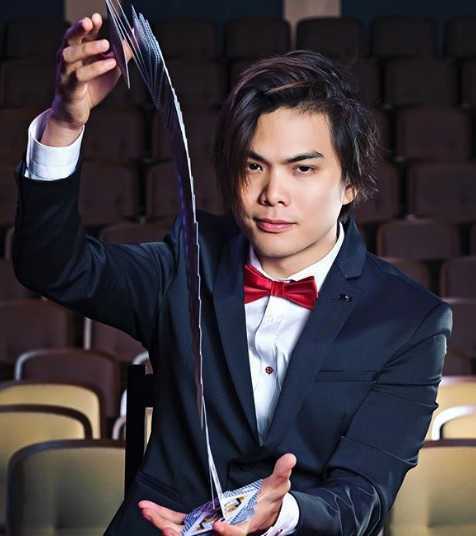 How much is Shin Lim Net Worth? 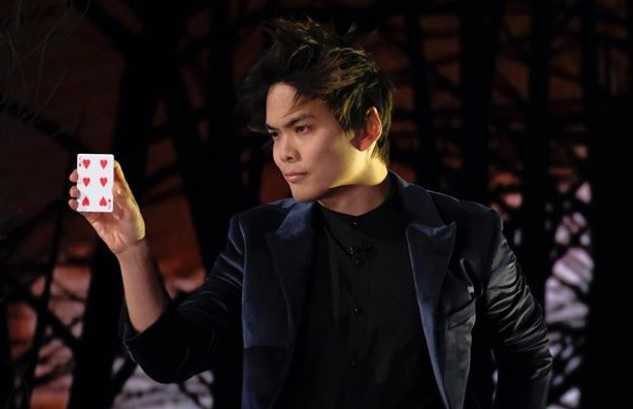 Shin Lim rose to prominence globally after winning America's Got Talent, 13th season. He is a magician and an illusionist, showing his perfection mostly in card tricks. He has appeared to many shows before winning AGT, and the fortune continues after winning AGT. Recently, he won $1 million prizes worth America's Got Talent. At present, Shin Lim's net worth is estimated at around $1 million. How many Awards has Shin Lim won? Shin Lim blends music mostly in his performance for his pianist background. Lim feared that he would lose the ability to perform due to injury at two tendons of his left thumb. He recovered after surgery. Lim proposed to his girlfriend in front of over 2000 people during a magic show at the House of Magic, Macau.